The medical evidence, without-a-shadow-of-a-doubt, shows that food allergy and eczema are strongly linked. However, this is the complete opposite to what most dermatologists will tell you. Why is this so? I don’t know. Sadly, at The Children Centre, we hear this sort of comment everyday. However, it is our experience that most (80%) children with eczema do have food allergy triggers. Find these troublesome foods and you have found a solution. 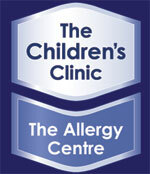 Most of the eczema children in our clinic get hugely better when we pay attention to food allergy. Consequently, we test all children with eczema for food allergy. Will be writing a whole section on this topic shortly.